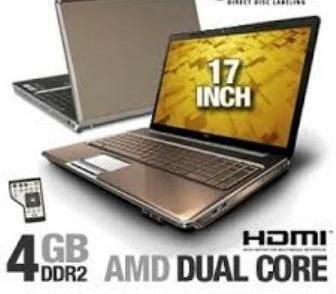 This full sized HP Laptop has a huge hard drive, a new battery, and desirable HDMI Port. Shows a wear spot on the palm rest; otherwise very nice. HP calls this computer an "Entertainment Notebook". You can attach it to your TV and stream live shows and movies or you can store many movies on the huge disk drive and watch them on the full size PC screen. Offered used on Ebay (with only a 320 GB hard drive, Microsoft Vista operating system, and old battery) for $225 plus $25 shipping to Miami. The Handicap Foundations offers this one for $270 and no shipping costs. Upgraded, tested, and guaranteed for 30 days by the Handicap Foundation. Email pjbarrett@aol.com or WhatsAp 6510-8934 to purchase.